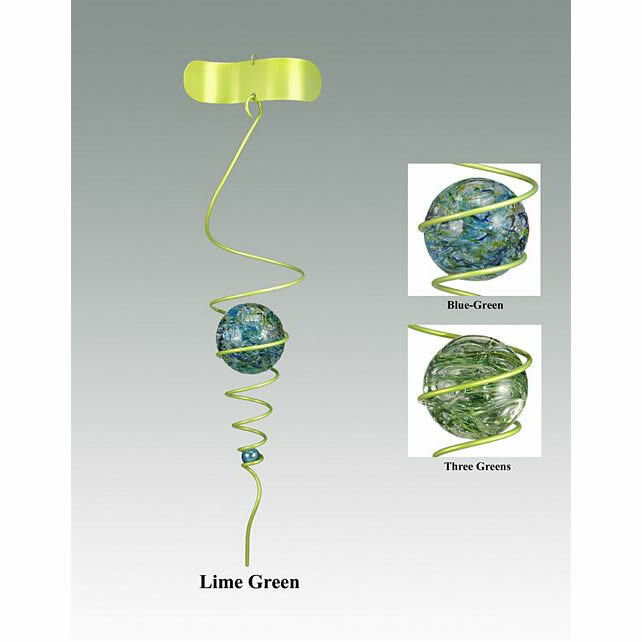 Our Levitating Marbles have been catching our customer’s attention for years. 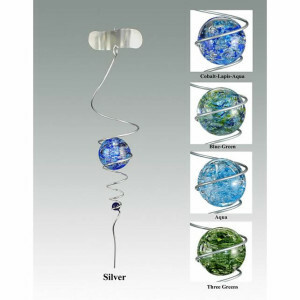 Californian artist and studio glass blower, Jeff Price, named this piece the levitating marble because the marble looks like it is travelling up and down the spiral. What an amazing illusion. If you look carefully, the balls do not move up or down at all, they just appear to. This is Jeff’s interpretation of the famous “levitating ball” illusion used by the great Houdini, the master magician of a century ago. It is said he used it to distract his audience while performing some of his most spectacular acts. The illusion is as compelling today as it was then. Jeff Price is a second-generation glass blower from Santa Ana, California. Jeff’s extensive experiments with glass, both in forming and coloring techniques, have led to a style of glass that features semi-traditional shapes with clever optical effects and bold colors. Some of his pieces have dichroic glass in them; which is glass that has been specially processed with many very thin layers of metallic films. The result is a glass with an intense sparkle. Levitating Marbles come in a variety of colors. 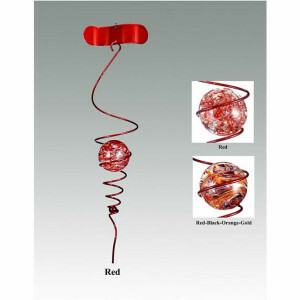 The hand blown glass marble is one of a kind, since they are each individually blown by Jeff. The spiral is made out of steel and painted with a high quality automobile paint for a long life. The top of the spiral has a steel curved piece that is shaped to catch the wind. 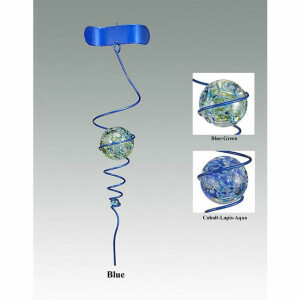 Some of our customers purchase our Spinning Motor to enable the kinetic sculpture to spin without wind.